Be less Selfie. Be more #Bothie. Videos are about more than what you see. Experience new dimensions of sound with industry-standard OZO Audio technology for 360° recording. Audio Focus mode lets you accentuate the right sounds while reducing ambient sounds or background noise. Coupled with 4K video capture, your clips won’t compromise on sight or sound. Give your creations the viewing experience they deserve. The polarized, 5.3″ 2K display offers ultra-vivid colours and superb clarity. Combined with Nokia OZO spatial 360° audio, your videos become captivating memories to relive again and again, wherever you are. 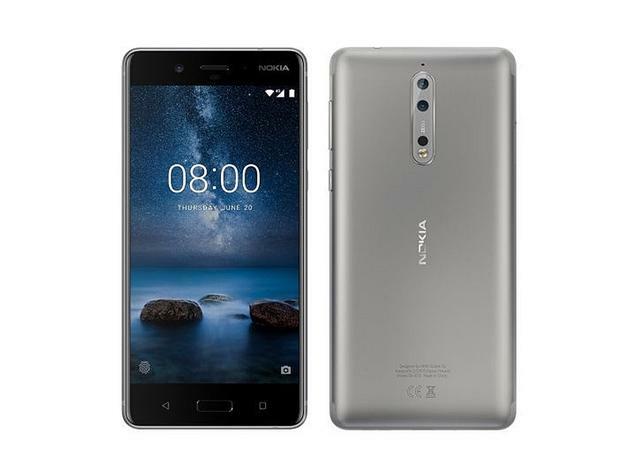 Nokia 8 comes with Android Oreo 8.0.0, packed with the full spread of Google’s most popular apps and no unnecessary extras. Plus, we’ll make sure you keep getting regular updates to help you stay on top of features and security. Capture every moment and never run out of space with free unlimited high quality storage from Google Photos.3 Automatically organized and searchable by the places and things in them, your memories are always easy to find and share.